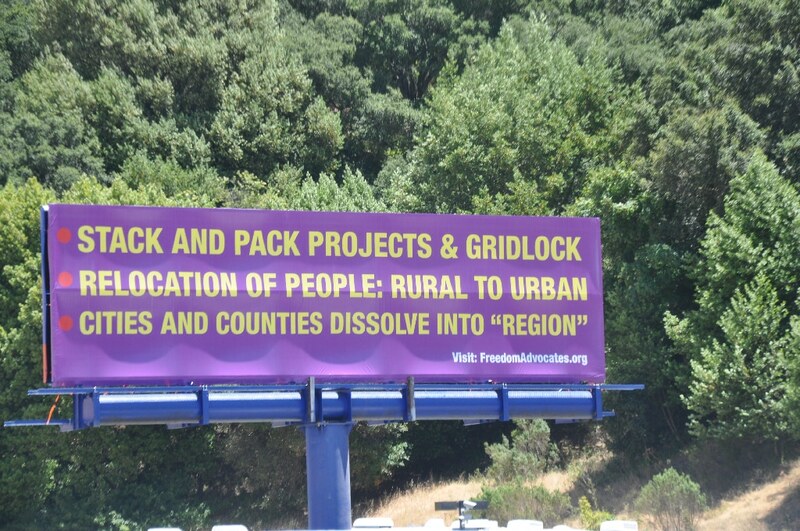 Michael Shaw was recently interviewed by Matt O’Brien, a reporter with the Bay Area News Group, regarding the billboards along I-580 in Alameda County, CA. 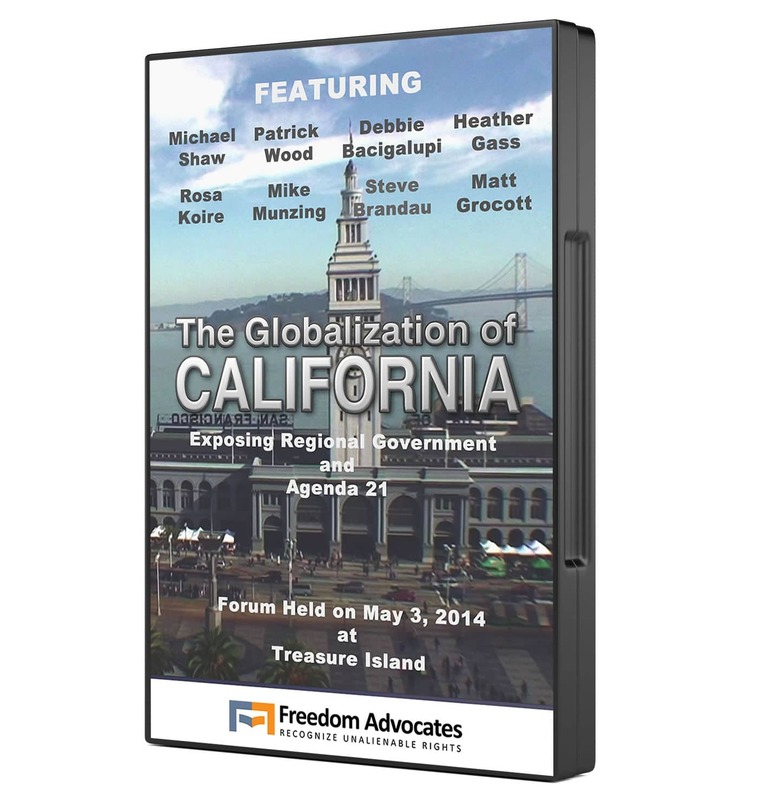 The article was published in print form in the Oakland Tribune and appears in several online news publications including the Contra Costa Times, Inside Bay Area, and the San Jose Mercury News. 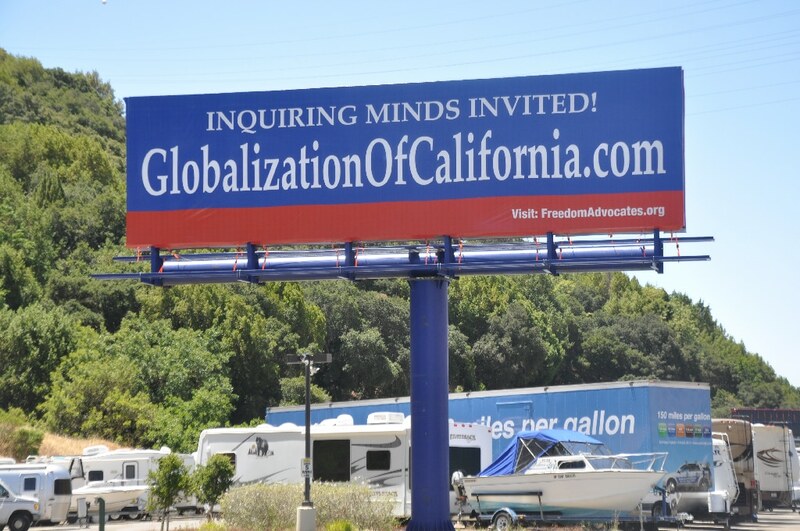 CASTRO VALLEY — Property rights activist Michael Shaw says the freeway billboards he erected this summer are a warning against a global government plot to abolish private property and crowd Americans into dense housing. 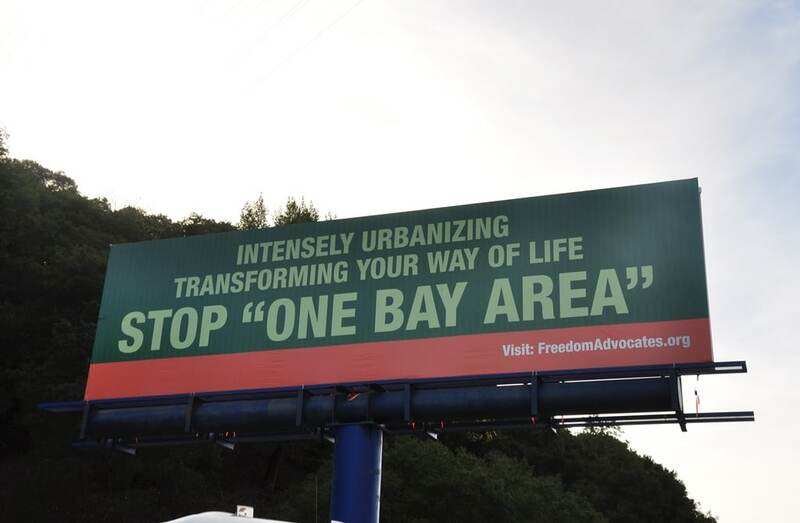 Alameda County says the unauthorized signs are “an assault on (the) visual senses” of Interstate 580 commuters. It wants them removed. The two sides are now locked in a legal battle. So far, Shaw is winning. U.S. District Judge Charles Breyer has ordered the county to leave the billboards alone as the dispute proceeds to a civil trial. “I’m just sort of an old-fashioned American who thinks rights are inherent to the nature of human beings and not subject to (the county’s) approval,” Shaw said recently as he demonstrated the three two-sided billboards he put up on his property several months ago. The signs rise above the 8-acre property of Lockaway Storage, a boat and RV storage lot nudged in the canyon that connects Dublin with Castro Valley. Fronting the cost to erect the signs was a Nevada billboard company, Desert Outdoor Advertising Inc., notorious for sparking First Amendment fights with liberal West Coast cities and counties. But it was the landowner, Shaw, who wrote and designed the messages. The businessman and former lawyer acknowledges they befuddle many commuters. “The subject of the signs is the restructuring of American government, something I think most people don’t know much about,” he said. 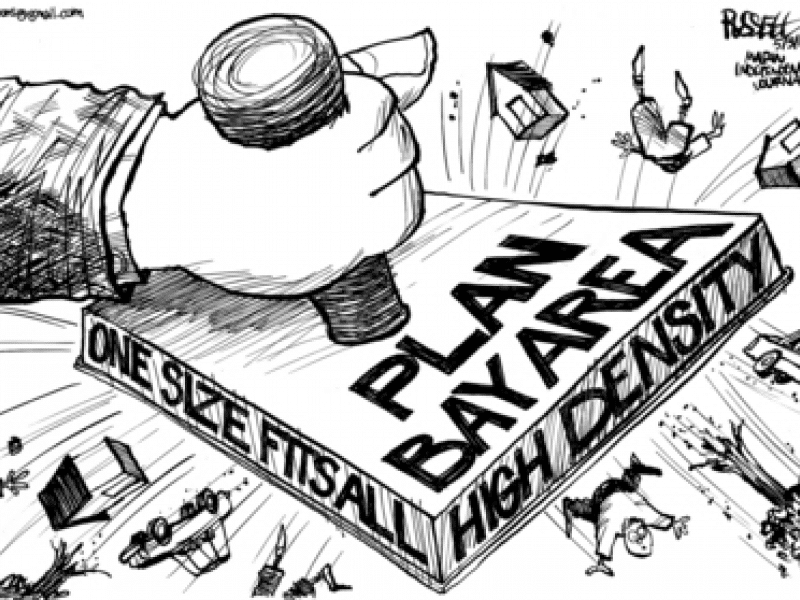 The words are a critique of Plan Bay Area, a long-range plan to concentrate more of the region’s new housing in urban hubs near transit. 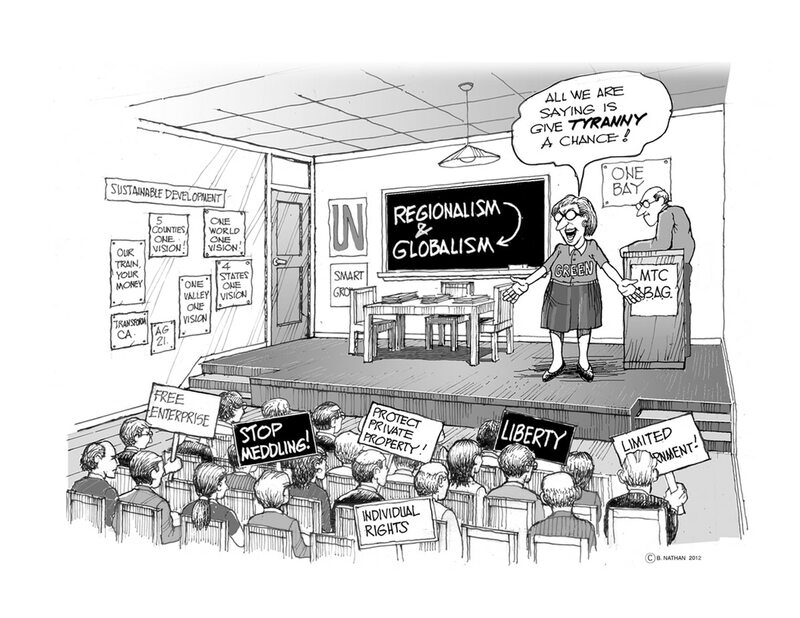 He hopes they pay attention. 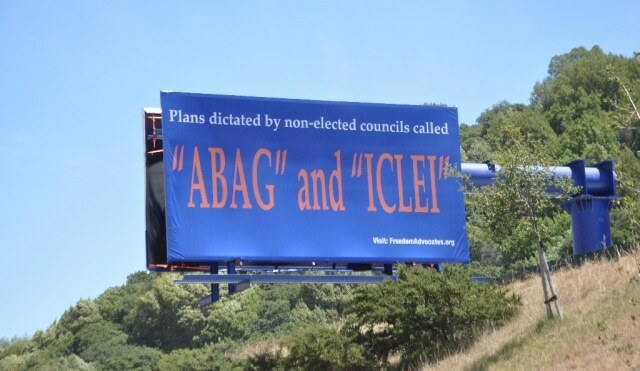 ABAG stands for the Association of Bay Area Governments, a regional planning agency that passed Plan Bay Area last year. ICLEI is an international association of more than 1,000 local governments promoting environmental sustainability. 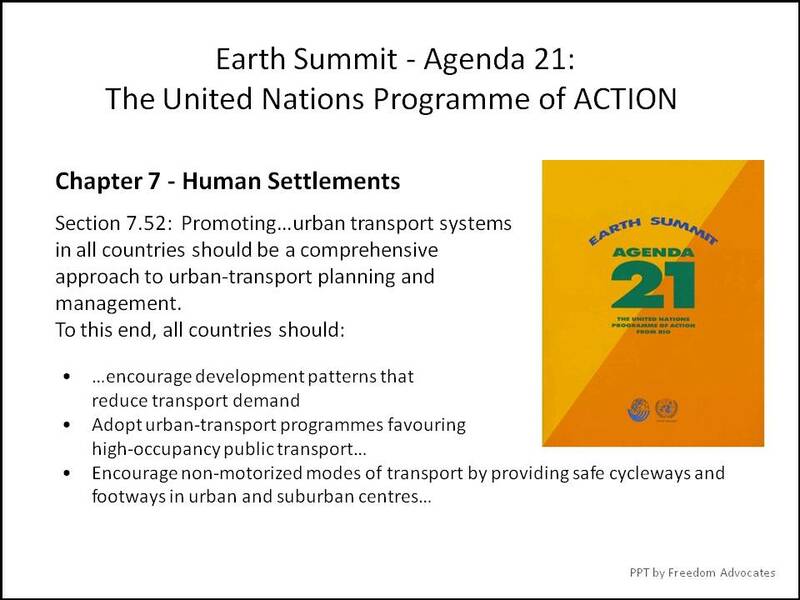 They are both unelected bodies that Shaw believes have an outsize influence on local land-use decisions and whose agendas he says are directed by a 1991 United Nations environment conference. “It’s a new style of government, it’s Soviet in nature, and it’s intended to get rid of the historic system of government in California, the city and county governments,” Shaw said. Which is not to say that Shaw is a fan of county governments. Especially not Santa Cruz County, where he lives, and Alameda County, where he spent more than a decade fighting to build and defend his self-storage business on Dublin Canyon Road. Shaw sees his billboards as a principled stand for freedom and the right to broadcast any political or commercial message he chooses. They are also a form of revenge. “When government steps on you, you don’t ever walk away whole,” he said. Alameda County voters in 2000 passed an urban growth boundary that sought to preserve open space and limit development in certain unincorporated areas of the county, including the spot on an I-580 frontage road where Shaw had a permit to build a self-storage facility. After he made a big investment in the vacant canyon land — a former illegal dumping and unauthorized motocross site — county planners told him he could not develop. He fought back, beginning 12 years of litigation that ended late last year when Alameda County was forced to pay a $2 million settlement over Shaw’s lost wages and attorney fees. The signs are meant to target two officials in particular: Alameda County Supervisors Nate Miley and Scott Haggerty. The signs and Shaw’s property sit in Miley’s district. Miley declined to comment this week because of the ongoing litigation. Haggerty, a Dublin resident who represents the Tri-Valley, must see them whenever he commutes to his office in Oakland, the seat of Alameda County government. Haggerty is also former chairman of the Metropolitan Transportation Commission, a regional body that Shaw and other activists consider complicit in the transit-oriented push. Alameda County argues in court papers that restricting billboards is a “reasonable exercise of its zoning powers” and has nothing to do with the content of the messages. It is simple, the county says: a 2008 ordinance bans new billboards in unincorporated areas, and all new structures — billboards included — must go through the normal planning process that Shaw ignored. If Shaw wants to express his message, he can “readily rent space” elsewhere, the county said. Shaw scoffed at that suggestion, noting that most permitted billboards are owned by a handful of big companies.